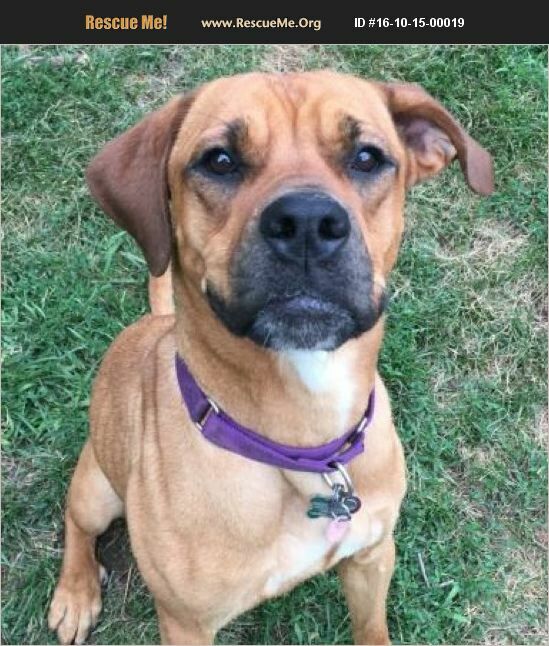 Trina is a 2-3 year old Rhodesian Ridgeback/ Boxer mix that has lots of personality! She is very food motivated and enjoys learning new things. She prefers life to go at a slower pace as she does get overwhelmed easily, so she will need a kid free home. She loves carrying around squeaky toys and squeaking them to share the joy. She walks great on a leash and will occasionally stop and take a refreshing roll in the grass. Trina is a sweet girl who will warm up to you, after meeting you a few times. Once she warms up to you, she loves to cuddle and will give lots of love. She weighs about 70-75 pounds. Interested? Please visit https://goo.gl/forms/UEgqEEJvU9WILgl83 to complete our quick online adoption application from your computer or desktop (not a phone). A representative will email you within 24-hours. Trina's adoption fee is $200 & includes: Spay, vaccines, microchip, deworming, a heartworm test, a wellness exam & an offer of pet healthcare insurance for 30-days from adoption date. Thank you!